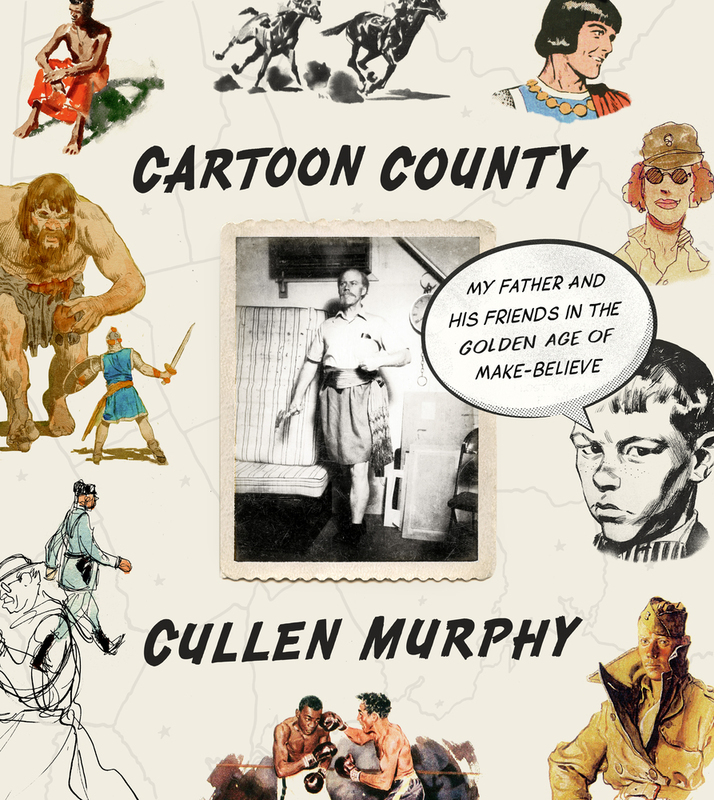 The story of a tight-knit circle of cartoonists clustered in southwest Connecticut after World War II, written by the former Atlantic editor Murphy?the son of a man at the heart of this artistic milieu. The art in Cartoon County is as lovingly reproduced as the anecdotes, showcasing the strips as well as the artists’ preliminary drawings, war sketches, and other pieces. The senior Murphy’s loose, expressive watercolors are particularly striking and a surprising contrast to the realistic renderings of his strips ... Murphy acknowledges that the Connecticut School was something of a bubble — nearly all-male, all-white, and largely insulated from the anti-war and civil rights movements that were challenging the country’s status quo. But he appreciates the artists’ bonds, bonds that extended to filling in for each other when illness or accident kept one of them from the drawing board. Most of all he relishes the father-son connection as they collaborated on Prince Valiant...The book is a testament to the strength of that partnership. ...[a] stylishly written and illustrated field guide to the American Cartoonist and his mid-century habitat ... Cullen Murphy has had other notable successes as an editor, essayist and author, all presumably head-clearing pursuits that give him a valuable perspective lacking in those of us who rarely come up for air. I was especially moved by his modest appraisal of the ultimate significance of our profession: 'Was it anything more noteworthy than bringing laughter (and adventure) to other human beings, while keeping the show on the road? What any civilization mostly needs is not the world-altering legacy of a few but the numberless people of talent who play a role … sustaining their contemporaries in the brief moment we have together.' In Murphy’s reckoning, cartoonists are no more or less indispensable to society than the dentists and adjusters they evidently resemble. They simply play their part. Still, Murphy obviously knows how lucky he’s been: There are worse places to work than Camelot. Cullen Murphy’s excellent Cartoon County is a history of a group of those artists, the ones established in the 1950s and 1960s, whose work didn’t so much break rules as make them familiar to the tens of millions of us who started our Sundays with a look at the four-color comics ...seriously charming, in the sense that it made me want to travel to the enchanted time and place that Murphy presents ...delivers deft insights into the cultural anthropology of this vanished society, from the microscopic...to the ritualistic...to the global ...a skilled observer, and his prose is supplemented by a jaw-dropping array of cartoons, sketches and photographs ... Largely left out are the affairs and the insurmountable family conflicts... He really makes you wish you were there. And with this book, just for a little bit, you are. What did you think of Cartoon County: My Father and His Friends in the Golden Age of Make-Believe?